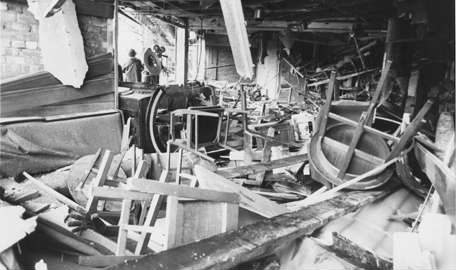 A CORONER has ruled that inquests into the deaths of 21 people in the 1974 Birmingham pub bombing should be reopened. 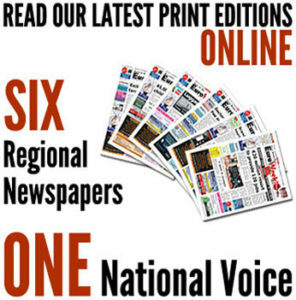 Families of the victims and surviving members of the Birmingham Six, innocent men convicted of the attack, welcomed Louise Hunt’s decision that a “wealth of evidence that still has not been heard” demanded further investigation. Crucial to the decision is alleged evidence that West Midlands Police had actionable intelligence that “Birmingham would be hit next week”, yet failed to take any measures in response. That statement was reported to police 11 days before the double bombings at the Mulberry Bush pub and the Tavern in the Town, and a second tip-off on the day of the attacks was also not acted upon. “I have serious concerns that advanced notice of the bombs may have been available to the police and that they failed to take the necessary steps to protect life,” said Ms Hunt. The bombings are widely believed to be the work of the IRA and were the worst terrorist attacks on British soil until the atrocities of 7/7 in 2005. Accompanying the news today is an interview with former IRA member Kieran Conway who told the BBC that those responsible for the attacks would never face justice. Describing the bombings as “absolutely immoral” and an “absolute disaster”, Conway claimed that the perpetrators’ identities were “extremely well known” but that the prospect of convictions was futile. Following the November bombings six Northern Irishmen, who had been living in Birmingham since the 1960’s, were arrested in a police swoop and charged with murder and conspiracy. Despite flawed, convoluted evidence, and the charging of 14 police officers with assault, the men were found guilty months later and each given 21 life sentences. It later transpired that the men were tortured and threatened, that the police suppressed and fabricated evidence, with the superintendent later charged with perjury, and the six were finally released in 1991. One of the wrongly convicted men, Paddy Hill, welcomed the coroner’s decision, saying he was “very pleased” and that the police “don’t want the inquests because there’s too many skeletons in the cupboard”. “They had advanced warning and they took no notice. I don’t think Birmingham police could spell truth – they’re rotten…I’m very sceptical about getting the truth”he told reporters. Victim’s families have been fighting for further investigation since 1991, and many, who were sceptical of the original convictions, since 1974. “This is an historic and memorable moment for the relatives of the victims who have fought so long for truth, justice and accountability regarding the loss of their loved ones. “They have acted without support since 1974. And another pre-arranged bombing by the uk government. So what is new?? ?